* Lots and lots and lots of DLC news this week. Let’s start with a personal favorite: XCOM! The Firaxis-developed remake launched earlier in October 2012, and 2K Games is now prepping a series of DLC drops that should please fans of the deep turn-based strategy game. First up is the Elite Soldier Pack, which is basically just the pre-order bonus that early buyers received. That one will set you back $5, but it’ll allow you to model your army of alien-stomping soldiers after the look of the grunts in the original game. More exciting is the Slingshot Content Pack, which adds a three-mission story arc to the game and a new NPC “who functions unlike any seen in the game to date,” whatever that means. No release date for Slingshot yet, but stay tuned for more news soon! 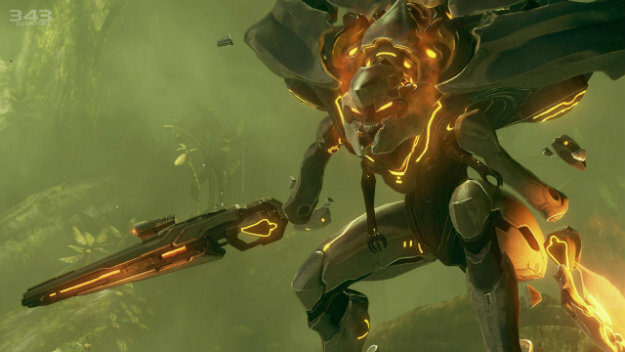 * Another favorite is pegged for DLC: Halo 4. The game may not be out yet, but Microsoft offered specific details on what fans who purchase the Limited Edition release on November 6 — a package that includes the “War Games Map Pass” — can expect. 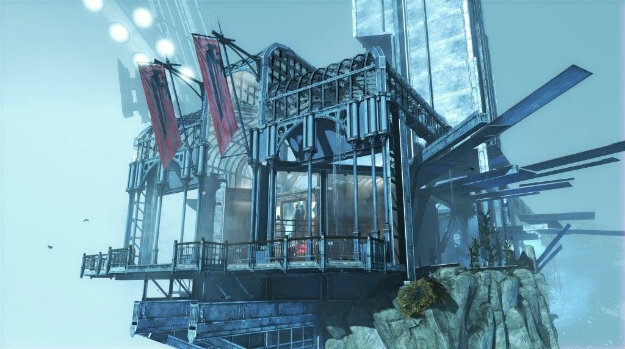 The map pass, which will also be sold separately, is a package deal that gets you three upcoming map packs: Crimson (December 2012), Majestic (February 2013), and Castle (April 2013). Each pack adds three multiplayer maps to the game. The packs will of course be sold a la carte for 800 MS Points apiece ($10), with the Map Pass giving you a $5 total savings on the bunch. * Okay, all three big DLC reveals this week relate to personal favorites. Last up is Dishonored from Arkane Studios. Play this one if you haven’t. It’s fantastic. Read Ryan’s review if you need convincing. The first of three DLC packs will arrive in December. The Dunwall City Trials DLC adds 10 new challenge maps to the game, including one that amounts to a wave-based survival arena. The second pack is set for spring 2013 and it adds actual campaign content that focused on the character Daud (no spoilers). There are zero details about the final pack; only that it exists and that it’s yet another story add-on. That final pack will also arrive in 2013. * It’s not more DLC, but September’s Borderlands 2 isn’t the only Pandora adventure that fans of Gearbox Software have to look forward to this year. 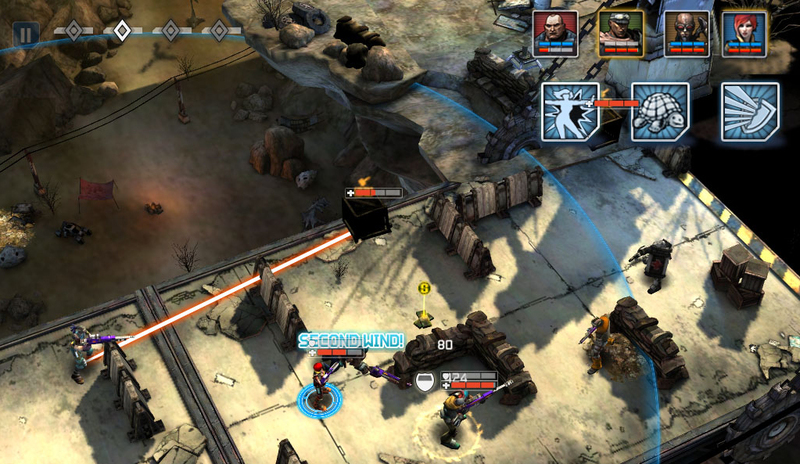 Borderlands Legends is an iOS-exclusive real-time strategy game that is confirmed for release in the App Store on October 31. It’s an unusual twist on the series that was born as a first-person “looter shooter,” with players using swipes and taps to direct the original game’s four Vault Hunters around a series of randomized maps in wave-based encounters. It amounts to a very different kind of game, but all of the familiar Borderlands trappings appear to be in place. Expect this one to be featured in next week’s top buys. * With all of this juicy game downloading going on, the ESRB is upping its profile in the mobile/downloadable games world. The official U.S. ratings board for video games introduced a new Digital Rating Service this week. The no-cost option is designed to ease the process of getting downloadable offerings rated, which should cut down on headaches for both developers/publishers as well as the ESRB. The new service amounts to an online questionnaire that susses out what sort of game is being submitted and what sort of content descriptors need to be applied. Relatedly, the ESRB will also now start identifying games that share personal or location info as well as those that offer user-generated content. The PlayStation 2 game that launched a franchise, Killzone, is back with a shiny, new HD coat of paint. The newly released Killzone HD doesn’t really change anything about the last-gen game, so while it looks prettier than it ever has before, it’s still just as janky as it’s always been. This one is PS3 only for some reason, so don’t start whipping out your Vitas for it. Note too that if you’ve never played the two subsequentKillzone games on PS3, you can also nab the entire trilogy as a single $39.99 release starting this week. Pick of the week with a bullet. Or, really, with many, many bullets. A bunch of melee weapons too. And lots of blood. Buckets. Great, overflowing tubs of the stuff. Hotline Miami is the latest in an increasingly popular line of retro-styled games, only I guarantee that you haven’t played anything quite like this one. Essentially a brawler/shooter viewed from a top-down, 16-bit perspective, Hotline is really more of a twitch-based puzzle game with a dark, gory sense of humor. Also, the soundtrack is perfect. I can’t recommend this one highly enough. This first of two big eShop releases for the week is a sharp-looking action-puzzle game in which players must move a sphere around the screen in a series of physics-based puzzles. It’s definitely one of the more unique titles available for 3DS, and it’s absolutely worth a look. If only because we all occasionally need a break from enemies and bosses, both of which have no place in NightSky. On the other hand, if you really just want to get your shoot on, then look no further than Liberation Maiden. This Suda51 mech shooter was released in Japan as part of a 3DS collection called Guild01. This amounts to a standalone release of one of the collection’s four games (two others are incoming), and it’s worth way more than the $7.99 asking price. You play as Shoko Ozora, the president of New Japan, as she pilots her Liberator mech to defend her country against invaders. If that doesn’t sell you, then there’s no hope left in the world. If you are old enough to remember the ’80s and you happen to own some kind of iOS device, this is a thing you need to own. He-Man: The Most Powerful Game in the Universe is a side-scrolling brawler from Chillingo. What’s awesome about it is that it uses the art from the original cartoon show. None of the music, unfortunately, but the game is strong enough that you’ll be able to overlook that absence. The story also scores major points for not taking itself seriously.